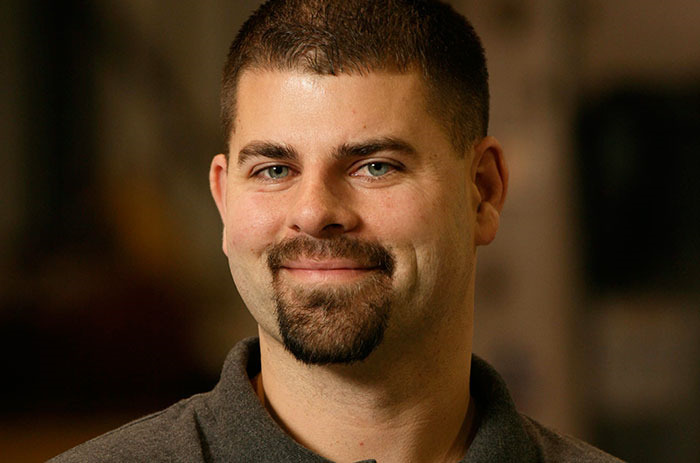 Ryan Bohnert, Tool & Equipment Manager for Robinson Construction Company, has earned the designation of Equipment Manager Specialist (EMS) from the Association of Equipment Management Professionals (AEMP). The EMS designation is a recognized standard for developing the qualifications of a person involved with equipment management in a private, municipal, or government fleet within the first five (5) years of career development and signifies that the designee has fulfilled the prescribed standards, passes a rigorous examination, is committed to ongoing professional development and has pledged to uphold AEMP’s Standards of Ethical Conduct. Bill Johns is a teacher, so you’d imagine that there wouldn’t be much that could shock him into speechlessness. But that’s exactly what happened recently when he met Frank Robinson, president of Robinson Construction Company in Perryville. “I’ve been working closely with the Robinson Construction staff for the last few years,” said Johns, who is the welding instructor at Perryville Area Career and Technology Center at Perry County School District 32. Johns had never met Robinson; he works most closely with HR Director Dolores Buehler, who said that the partnership between the school and the company is beneficial to both. “Bill Johns has helped us so much by providing training assistance and certification testing for our welders,” Buehler said. “He’s a great guy to work with, and he happily provides a valuable service to Robinson Construction Company. He expresses appreciation for the opportunity to allow his high school students to interact with professional welders during testing and certification. Buehler said that she “brags on” Johns and the PACTC welding program and recently suggested to Robinson that the company make a donation to the school. Johns’ imagination wasn’t as large as Robinson’s heart, it seems. 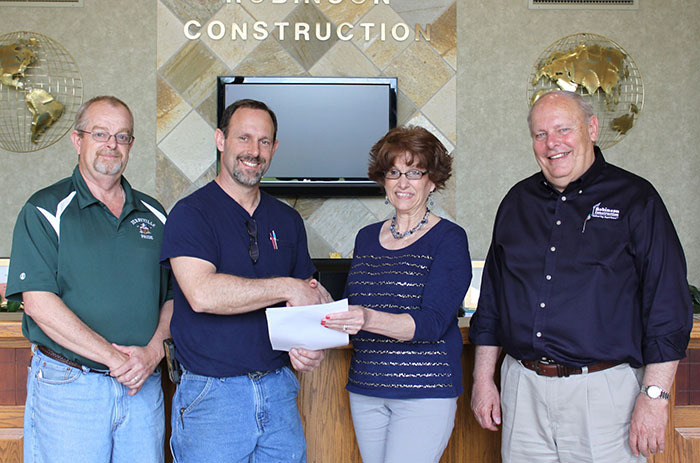 When they met, Robinson presented a $10,000 donation to the PACTC Welding Program. King and Johns are using matching grants to stretch the $10,000 gift from Robinson Construction Company into $35,000 worth of equipment for the welding program. 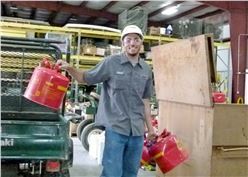 The donation grows even more when you factor in working partnerships with companies like Ozarc Gas which provide quality equipment to the schools at affordable prices. According to Kelly Garza, marketing director at Robinson Construction, this donation is part of Robinson Construction’s continuing mission to improving the lives of people in Perry County. Robinson Construction was founded in 1946 by Frank’s father, Edward G. Robinson, as a plumbing and heating company. Ed Robinson then advanced the company’s growth into heavy mechanical construction. Frank Robinson joined his father’s company in 1971 after graduating from college then serving in the US Army in Vietnam, and has served as president since 1973. Under Frank’s leadership, Robinson Construction Company began installing water and sewer lines in southeast Missouri, and soon after began constructing water and wastewater treatment plants. In the late 80s Robinson started performing mechanical construction and general construction services for several local industries and today acts as a design-build general contractor for clients from Florida to California. Headquartered in Perryville, Robinson Construction has a regional office in Hopkinsville, Ky. The company is licensed as a contractor and/or has completed projects in 30 states. It is a major employer in Perry County, with a current staff of nearly 350 employees. It’s an experienced and talented workforce, from engineering and design to tradesmen certified in underground utilities, deep excavation, sheet piling, water supply systems and treatment plants, piping, structural steel and concrete, and material handling and conveying systems.